1001 Spikes for the Vita? A lot of dying happens as you play... see the trailer inside. 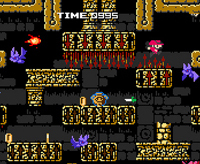 Gameplay revealed at E3 for this 2D platformer. Says: "Coming soon."